See behind the scenes during filming in a warzone! Filmed by Jon Chappell. See behind the scenes during filming in the most remote location you can experience! Filmed by Jon Chappell and Stuart Morgan. An amazing story of a WW2 escape, re told by a son on a bike! Filmed by Jon Chappell from his bike! Fun with toy soldiers. No idea how I got involved with this?! This is a short video made to promote the sailing company. We got a discount on the holiday! This is a short video made to promote canal boat holidays. Again, another cheap holiday. Sample of footage filmed by Jon Chappell for this popular ITV show. Title sequence for a Discovery Channel show shot by Jon Chappell. Another short clip from the Ch 5 series shot by Jon. He lived and filmed on Royal Navy ships for 9 weeks in the Middle East. Jon filmed and cycled this route for fun. I use to be fit! Nissan Quashqai - 1 Million Made! A short corporate video we made a while back but I still like it. Shot on a Canon 5D mk1. Filmed at Wheelbase for fun! 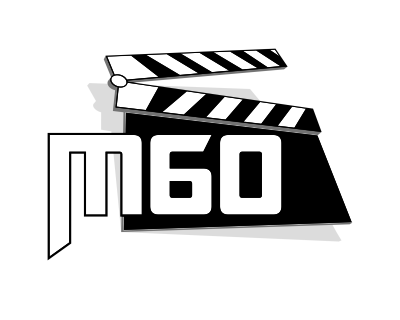 Another short corporate video filmed by M60. One of many films shot by Jon Chappell and Charlie Lang for the whisky maker. Double Wood is my favourite. Jon's twin boys on bikes. Another fun film. A Matt Hayes title sequence. A business video made for NST, who sell and arrange holidays for students. Ray Mears, B - Roll, from the Wilderness Walks series for ITV. 6 x 1 hours shot by Jon Chappell. Behind the scenes in Norway with Jon Chappell & Stuart Morgan.